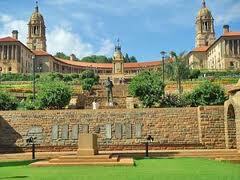 The Voortrekker Monument is an historical monument in the city of Pretoria, South Africa. By the middle of the nineteenth century, large numbers of the forefathers of the Afrikaner people demonstrated their discontent with the British authorities in the Cape by leaving the colony permanently. Seeking their freedom and surrounded by great danger, they travelled deep into the interior of southern Africa between 1834 and 1854. This journey was known as the Great Trek. 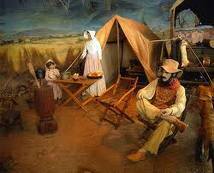 The trek parties who took part in it were known as the Voortrekkers. 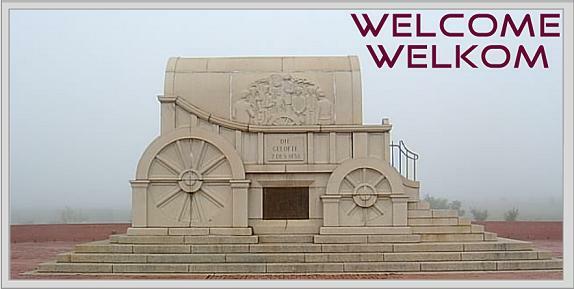 The Voortrekker Monument was designed by architect Gerard Moerdijk, who had the idea to design a monument that would stand a thousand years to describe the history and the meaning of the Great Trek to its descendants. 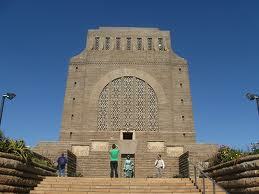 The Voortrekker Monument was inaugurated on a hill south of Pretoria on 16 December 1949. The Hall of Heroes contains one of the worlds longest historical marble friezes. On the lower level is the Cenotaph Hall containing the central cenotaph, historical flags and objects of cultural and historical value. A tapestry with more than three million stitches depicts the story of the women and children during the Great Trek and a huge painting by WH Coetzee depicts the trek over the Drakensberg mountains. 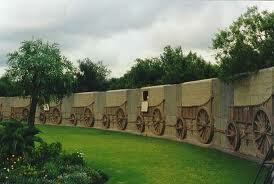 In the basement is the Voortrekker Monument museum.